Report: Next iPhone not coming until October? Those who were expecting Apple to ship a follow-up to the iPhone 4 this summer may be in for a longer wait than usual. A new report from Japanese Mac blog Macotakra says Apple is behind its usual schedule of ordering parts that go into the manufacturing process for the device. That change in pace could result in Apple shipping out a phone a few months later than the June time frame for the previous two models, and July for the iPhone 3G. AppleInsider, which picked up on the report this morning, notes that the later timing would result in the next iPhone missing Apple's fiscal 2011, which concludes on September 24 this year. Along with the timing news, Macotakra's report, which is based on its sources in China, notes that Apple has still not committed to changing the materials used on the back of the iPhone from glass to metal. 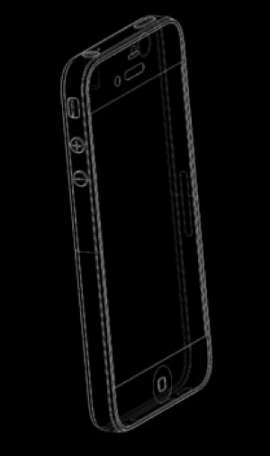 Rumors of such a change had first cropped up in March, with a follow-up report a few weeks later by 9to5Mac that said Apple was indeed testing out prototypes of future iPhone designs with metal backs. That move had originally been said to help set the device apart from the iPhone 4 since there were many other design similarities, as well as cut down on shattering incidents for dropped phones. If the rumor proves to be true, it would likely be unwelcome news to those who had been banking on upgrading their phones this summer. But with expectations that Apple now has to juggle both GSM and CDMA versions of the device, possibly implement a near-field communications chip (and the infrastructure that goes with it), as well as cook up the next major release of iOS, there are plenty of moving parts that can push back that time frame. Some iPhone owners were heading in to work late on Monday after a glitch ca used their alarms to malfunction. Users found their wake-up alert coming one hour late, one hour early or not at all. The problem, related to the clocks going forward for British Summer Time, does not appear to have affected everyone. Apple has yet to comment on what caused it, but similar problems have previously hit iPhones in the US. Many of those whose alarms went wrong turned to social networking sites to vent their fury. One Twitter user wrote: "iPhone alarm failed twice. 1) went off at 5.45 instead of 6.45. 2) Didn't go off at all when I reset it. Time to update software." Another unimpressed owner wrote: "Thanks iPhone. I didn't really want that alarm to go off anyway." According to user reports, the glitch has affected non-recurring alarms set within the iPhone's calendar application, rather than its dedicated alarm clock. The problem first came to light in the United States last November during the switch from Daylight Savings Time. Despite promises from Apple to correct it, a similar issue hit iPhones on 1 January 2011. SOCOM studio Slant Six said to be prepping squad-based shooter set in Capcom's zombie-infested universe for release this winter. Slant Six Games has thus far made its bread off of Sony's SOCOM: Navy SEALs franchise. However, last year word emerged that the studio may be branching out when Kotaku ran a rumor indicating that the studio was staffing up for Resident Evil: Raccoon City, a "team-based" spin-off for the franchise. Now, it looks as if those rumors were well founded. 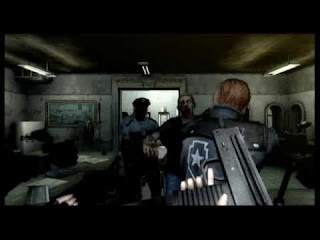 Gaming website Stick Skills claims to have secured an advance copy of the May 2011 issue of the Official Xbox Magazine, within which are the first details on Slant Six's Resident Evil: Operation Raccoon City. Stick Skills ran down the details from the story on its website and forwarded a photo of the periodical to Joystiq. According to the website, Operation Raccoon City will be available for the Xbox 360 and PlayStation 3 this winter. It will reportedly be set in 1998, around the time of Umbrella's original T-virus outbreak. The squad-based shooter sees gamers assuming the role of o ne of four members in an Umbrella Security Services troupe. A player's objective will reportedly be to cover up all evidence of the outbreak, indiscriminately killing zombies and survivors alike. However, not all humans will be easy prey, as the "three-corner conflict" reportedly sees gamers facing off against US Spec Ops. OXM's May 2011 issue is expected to hit newsstands on April 5. Owners of Google's Nexus S smartphones can soon use the device to process mobile payments via near-field communications tech, via software from a company called Charge Anywhere. Charge Anywhere's existing mobile payments application has already allowed owners of iPhone, BlackBerry, and Android devices to process credit card payments with their phones and a dedicated reader to swipe the cards. But the latest version to the software, announced at yesterday's CTIA trade show, turns the Nexus S phone into a full mobile payment terminal. This means that owners can process MasterCard PayPass and Visa Blink payments remotely using the phone's built-in NFC technology. Though the software update is ready, it hasn't been officially deployed yet. Dmitriy Lerman, Charge Anywhere's director of marketing, told CNET that his company currently can make the software available to large customers and will soon release it for all customers. 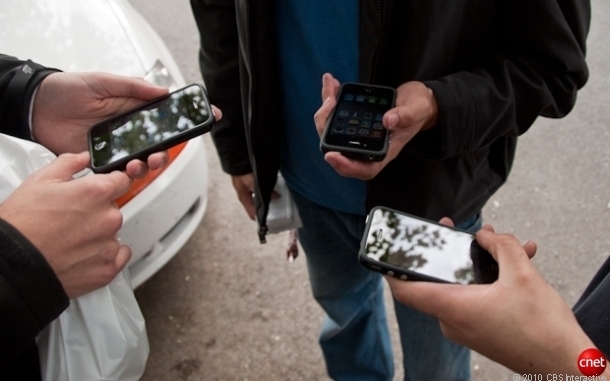 Near-field communications allows devices, such as mobile phones, to swap information when they're near each other. The technology is being touted as a wallet-free way for consumers to pay for items by using their smartphones to send payments directly from their bank accounts to a store terminal. 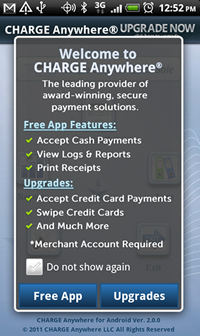 "The Charge Anywhere payment platform has always stayed ahead of the payme nt technology curve and by adding NFC payments ensures that our partnering financial institutions, mobile network operators, and distributors always have the most competitive advantage in delivering secure payment technology," Charge Anywhere CEO Paul Sabella said in a statement. The Nexus S is currently being offered by T-Mobile. But a new 4G version of the phone will be heading to Sprint this spring. Samsung's new Galaxy S II smartphone also includes an option for NFC. Charge Anywhere said it will expand its updated software to other phones beyond the Nexus S as they gain the necessary NFC technology. Rumors have been swirling recently over whether the iPhone 5 will include NFC. But some experts believe Apple faces hurdles before it can do so. Those hurdles rest not so much with the technology itself but more with the overall infrastructure and how Apple would partner with retailers and other players. Research In Motion has also been eyeing NFC but has been running into conflicts with mobile carriers over who will control the mobile payment information, according to a recent Wall Street Journal story. Several mobile carriers and manufacturers have been jumping onto the NFC bandwagon with plans for their own mobile payment networks. AT&T Mobility, Verizon Wireless, and T-Mobile USA have started a mobile payment network called Isis with an eye toward officially launching it by early next year. T-Mobile has been working with companies in the U.K. to unveil an NFC system in that country this summer. T-Mobile parent company Deutsche Telekom is ramping up a system destined for Europe and eventually the U.S. this year. LG is developing a mobile payments system for Europe, slated to launch next year. And recent reports say that Google plans to test an NFC system in New York and San Francisco within the next few months. Firefox may be under fire from Microsoft's newly competitive browser, but with more than twice the downloads in its first day, Firefox 4 today soared over its rival by one measurement. Microsoft, not without reason, boasted that IE9 was downloaded 2.35 million times in the first 24 hours after its release last week. And that is indeed a big number, especially for a browser that tech enthusiasts had scoffed at for years. 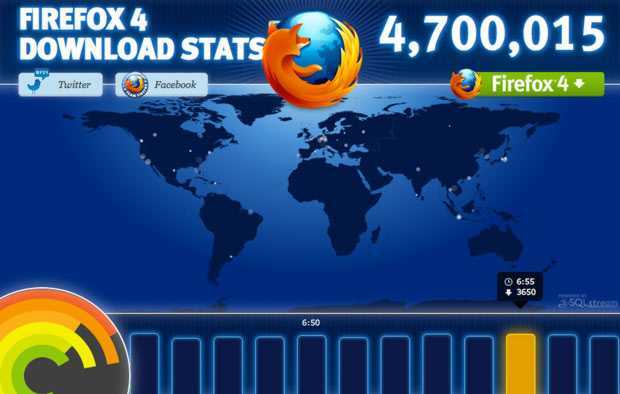 That's a lot less than the 8 million copies of Firefox 3 downloaded in that version's 24-hour debut in 2008, but that event was a heavily promoted "Download Day," and it should be noted that Firefox 4's full day hasn't finished yet. And it does signal that at least a very sizable chunk of the Net-connect ed population is, in Firefox's apt phrase, choosing to "upgrade the Web." New browsers bring new Web standards, new performance, and often a new auto-update ethos that likely will lead to browsers staying continuously updated. That could simplify lives for Web developers who constantly wrangle with the difficulties of supporting old browsers. Mozilla expects that its arrival will lead to an increase in usage. The browser maker said it has 400 million Firefox users and counting, but as a percentage of worldwide browser use it has lost share to Chrome, which now accounts for more than 10 percent of usage worldwide. The service will be tested in Dallas, Austin, Atlanta, San Francisco, and San Diego, and will expand on the social-networking giant's Deals program, which offers users deals to members when they use Facebook Places to check in at local business, the company said. Members will be able to buy deals and share them with their friends on the network. "Local businesses will be able to sign up to use this feature soon and people will be able to find deals in the coming weeks," the Palo Alto, Calif.-based company said in statement today. Facebook plans to sell the deals through its own sales team, as well as working with partners such as Gilt City, Home Run, Pop Sugar City, Tippr, KGB Deals, Plum District, Reach Local, Zozi, and Open Table. With 500 million members, Facebook will bring a sizable user base in its challenge for dominance in the deals market, which brought in $873 million in revenue last year and could bring in $3.93 billion by 2015, according to a projection from consulting firm BIA/Kelsey. Chief among those competitors is Groupon, which has been riding meteoric growth with half-price massages, discounted restaurant meals, and travel bargains. Chicago-based Groupon, with 60 million users and more than 39 million deals sold in its two years in business, is expected to beef up its muscle with an initial public offering later this year. In addition to Groupon, Facebook will have to contend with a host of "Groupon clones," including deals site LivingSocial, which announced a $175 million investment from e-commerce giant Amazon.com late last year. Facebook will also face competition from Google, which over the past couple of years has been losing employee talent to the social-networking giant. Just a month after being rebuffed in a buyout offer of Groupon, Google confirmed in January that it's preparing to launch its own social-buying competitor called Google Offers. IF you enjoyed this post kindly subscribe to our feeds by clicking HERE! Adobe Systems, working furiously to disprove Apple Chief Executive Steve Jobs' belief that the Flash Player is a bad match for mobile devices, will deliver its second version of the software for Android devices on March 18. The software will be available in final form through the Android Market for Android 2.2 (Froyo) and 2.3 (Gingerbread) devices and in beta form for Android 3.0 (Honeycomb) tablets after Google's 3.0.1 system update, Adobe said in a blog post. However, it's not for any Android device. People can check Adobe's list of Flash-capable Android devices to see if theirs made the cut. 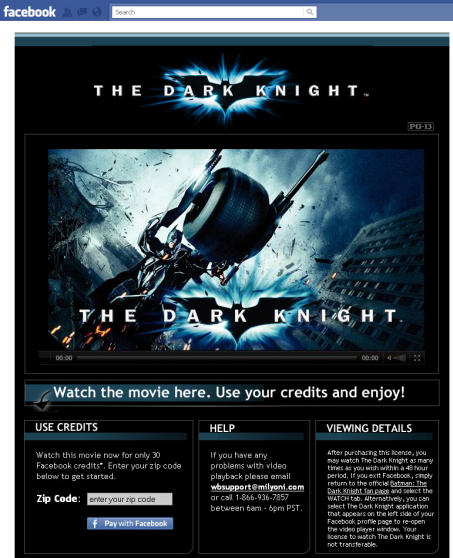 Flash Player runs cross-platform software, notably games, and is widely used to stream video to personal computers. Adobe hopes to extend its cross-platform promise to mobile devices, but it's been hard given the different user interfaces and lesser hardware abilities compared to PCs. Flash Player 10.2 for mobile brings several changes, though. One is hardware-accelerated video presentation on Honeycomb 3.0.1 devices, something that could help preserve battery power and increase frame rates for smoother video. The new version also can take advantage of better hardware in some devices with graphics chips and dual-core processors--Motorola's Atrix smartphone and Xoom browser and LG's Optimus 2X, for example. 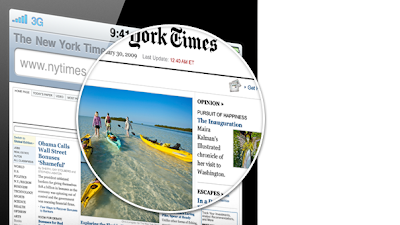 The new software also is better integrated with the stock Android browser and with screen keyboards, Adobe said. To keep competitive on the desktop, Adobe also is working on improving Flash with versions 10.3 and 11 under development. In Oslo, Norway, it's not uncommon for a dazzling aurora borealis to light up the night sky. Or maybe it's just the Internet you're looking at. Timo Arnall, Jorn Knutsen, and Einar Sneve Martinussen from the Oslo School of Architecture and Design have found a unique way to visualize invisible Wi-Fi signals in their Norwegian city by light-painting signal strength in long-exposure photographs. 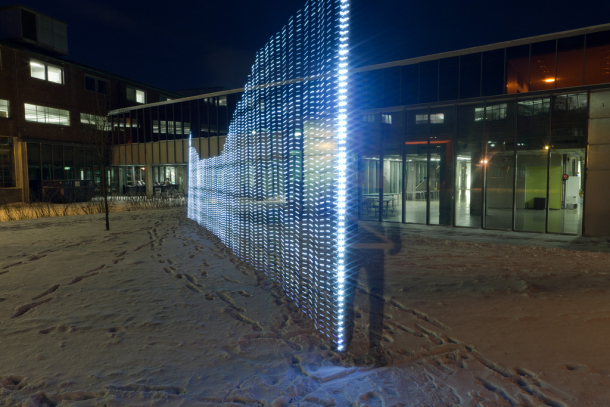 Their project, which is documented in a film called Immaterials: Light painting Wi-Fi, is powered by a 13-foot "Wi-Fi measuring rod" containing 80 lights that illuminate at varying levels depending on signal reach. The glowing Wi-Fi measuring staff, which is truly worthy of Gandalf himself, is operated by a microcontroller. To create the mesmerizing visuals, the artists--Ph.D. candidates in interaction design--placed a camera nearby as the rod was taken to various locations at nighttime in the Oslo borough of Grunerlokka. The Wi-Fi visualizations are part of the research project YOUrban, which explores the intersection between design, technology, and urban life and previously showed the invisible fields surrounding RFID readers. With their Wi-Fi light painting, the designers noticed a pattern. "The strength, consistency, and reach of the network says something about the built environment where it is set up, as well as reflecting the size and status of the host," according to Martinussen. "Small, domestic networks in old apartment buildings flow into the streets in different ways than the networks of large institutions. Dense residential areas have more, but shorter-range, networks than parks and campuses." The results transform a normal-looking city into a sparkling digital world. The video below and gallery above show just how beautiful something so seemingly un-beautiful can be. It would be incredible if you could somehow create the same display in an augmented-reality app. Hopefully the next version will be a 3G measuring rod so we can finally see if AT&T and Verizon are telling the truth about their wireless coverage. The addition of MLB.TV and NBA League Pass is a significant upgrade, as they represent some of the first non-iTunes streaming media services available on Apple TV, aside from Netflix and YouTube. 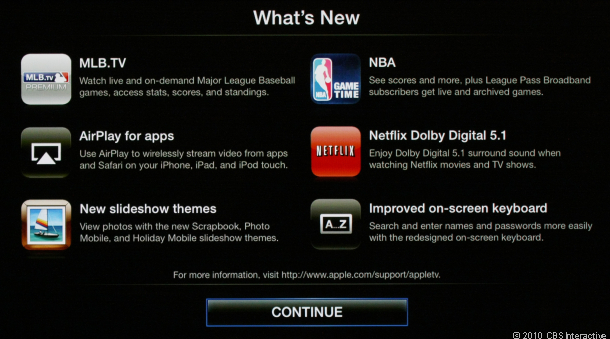 The lack of additional streaming media services has been one of the our major criticisms of Apple's streaming video box, as competitors like the Roku XDS have offered MLB.TV and NBA (along with tons of other services) for quite some time. As on any other platform, MLB.TV and NBA League Pass will only stream live games to out-of-market customers, so it's not exactly a replacement for hometown sports fans looking to ditch their cable subscriptions. We'll be updating with more details after some hands-on time with the new software. A number of developers TechAce talked to following last week's iPad 2 announcement, said they were planning to create games and application features specifically for the new hardware, with some holding off on a release until seeing what Apple had in store with its sequel. One of those is Firemint, the makers of hit 2D game Flight Control, as well as the top-selling Real Racing series. 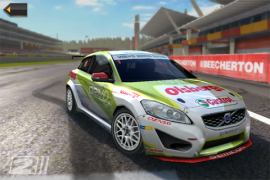 The day the new hardware was announcement, the company said that it had been expected a beefed up version of the iPad and had shifted development efforts of its Real Racing sequel just in case. Besides Firemint, Venan Arcade--the makers of the Space Miner series--told TechAce that it too planned to add some iPad 2-specific filters for extra graphical flourishes in the upcoming sequel to Space Miner: Spare Ore Bust, and anticipated seeing a similar boost in Apple's next iPhone. Another developer, who asked to go unnamed, told us that the newer hardware would enable them to "rethink" the cartography in its GPS application with better 3D effects, as well as a higher degree of accuracy to user orientation with the inclusion of the gyroscope. Speaking to TechAce last week, Unity co-founder and Chief Creative Officer Nicholas Francis said his company plans to make changes to the engine to enable it to do new things on the second-generation hardware and that the speed bump was welcomed. One of the other big players that's come into Apple's corner within just the past year has been Epic Games, the makers of the Unreal Engine. While Unreal can be found in a large number of PC games, it didn't show up in iOS games in earnest until Epic Citadel, a technology demo of the Unreal Engine for iOS shown off at the unveiling of the iPhone 4. This was later followed up by Infinity Blade, which the company released at the end of last year and has gone on to become one of the top grossing games on the App Store and the primary example game in Apple's iPad 2 marketing materials. In an e-mail to last week, vice president of Epic Games Mark Rein said that "Unreal Engine 3 is fully capable of taking advantage of the extra power of iPad 2" and that "UE3 developers can already put this extra power to use and make even more amazing apps and games for iPad 2." For developers, one solution to ensure that has been to offer toggles that can scale back on the effects, or that detect which generation of the hardware a user is on, and turn certain shaders on or off. Others--though not many--have gone with a segregated approach, and offered titles that went with specific hardware type. The studio sees the social network as fertile ground for video on demand--considered a key revenue source for Hollywood studios grappling with falling box office receipts. This is not the first search for Voice Control experts in which Apple has engaged. Back in December Apple was looking for new hires "specializing in voice technologies such as speech recognition, iOS software development for speech applications, and speech research." Demonstrated experience deploying and configuring large numbers of Xen VM instances. Demonstrated experience working with ssh, kickstart, bind, postfix, nagios; iptables, sed, awk, curl. Demonstrated experience with configuring loadbalancing and firewalls. Demonstrated experience with Nuance Recognizer, IBM WebSphere Voice, Google Voice, or similar voice search tool. 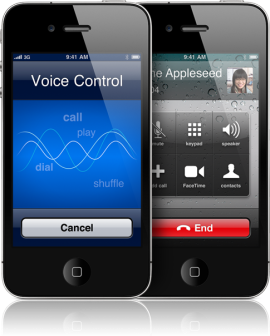 A patent application filed by Apple last year highlights several proposed improvements to Voice Control, including the ability for app developers to include specific voice commands in their iOS games and Apps. Reports of a smaller iPhone to be released this summer included a vague mention of Voice Control that, given the smaller size, could become the main navigation mode of the device. Though voice-activated hardware and voice recognition software has been around for quite some time, the technology has yet to become mainstream as a sole method of navigating a device's operating system. With Apple's recent acquisition of voice recognition software company Siri, many analysts predict Apple will be making significant strides in voice very soon. Would you buy an iPhone Nano with a voice-only OS? Let me know your thoughts in the comments! The wait is over for eager Apple fans wanting the next-generation iPad. At an invite-only event in San Francisco today, the company took the wraps off the iPad 2. Apple CEO Steve Jobs, who is taking a leave of absence from the company, returned to unveil the new product, which is expected to be a hot seller. As anticipated, the new tablet has two cameras and is faster with dual-core processors. They just about double CPU performance and make the graphics speed 9 times faster, while using the same power as the processor from the first iPad. The iPad 2 is thinner than the older model. It went from 13.4mm in thickness on the old iPad to 8.8mm in thickness on the new one. And it works not only on AT&T's 3G network, but also Verizon Wireless' 3G network. In terms of the technical specifications, the device is 9.5 inches high, 7.3 inches wide, and 0.34 inches deep. And it weighs just 1.33 pounds. It comes in three storage sizes for both the Wi-Fi and Wi-Fi +3G models: 16GB, 32GB, 64GB. And the rear camera is 720p and the front camera is "VGA-quality" suitable for video and still photography. The new tablet will go on sale in the U.S. on March 11 and will start at $499. 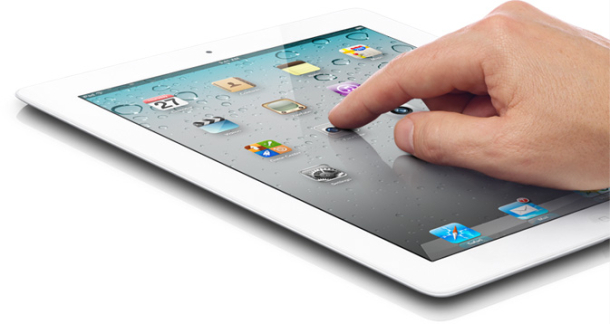 The original iPad, which went on sale last April, is now $399 for the 16GB Wi-Fi only version of the product. The 3G version of the 16GB iPad is $529. 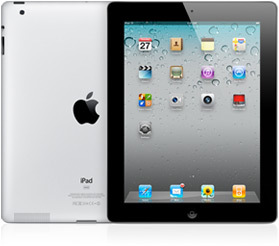 Apple will begin shipping the iPad 2 internationally to 26 countries starting March 25. Is Facebook getting ready to show its Share button the door? The social-networking giant recently released an update that adds Share button functionality to the Like button, perhaps presaging the phasing out of the Share button. When a Facebook user clicks the Like or Recommend button on a third-party site, a full feed story with headline, blurb, and thumbnail is generated on the user's wall. Users will also have the option of commenting on it. Previously, unless third-party publishers chose the Like with Comment version of the button for their site, users got only a link to the story in their recent activity section on their wall. 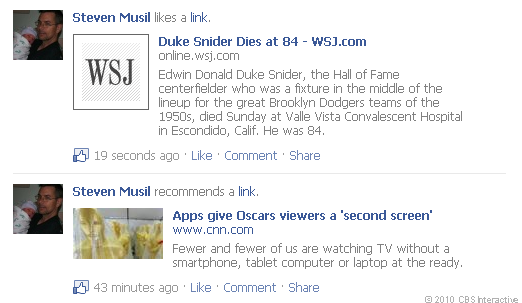 Now the Like, Share, and Recommend buttons will all generate the full story with headline, blurb, and thumbnail. The change should drive more referral traffic to third-party sites and perhaps reduce user confusion over how the buttons work. But because the content will now be more prominent on user's walls, some may be more reluctant to click the Like button. Facebook is apparently no longer supporting development of the Share button, having removed it from the developers documentation section of the site, and a search for Facebook Share in the developers section redirects to the Like button documentation page.